You don't have to wait for Apple to issue an update. 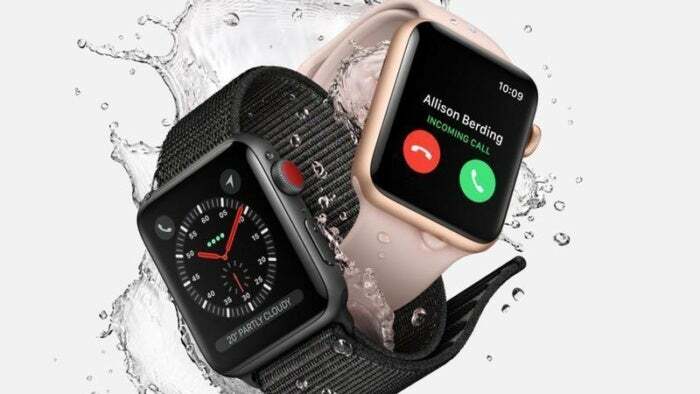 Some Apple Watch Series 3 users are experiencing issues with connecting to LTE when away from their phones, which, you know, kind of defeats the purpose of having a cellular watch. Suddenly, your excitement for the watch is now mixed with frustration. I, too, had issues with my LTE Apple Watch the first day I had it, and it’s no fun. Thankfully, the issue is a software one and Apple has already promised to fix it soon. But until that happens, here’s how I got LTE running smoothly. Incidentally, the issue lies with Wi-Fi, not LTE. Like your iPhone, your watch constantly looks for previously connected Wi-Fi networks to alleviate the use of LTE. The problem comes into play when it connects to an “unauthenticated Wi-Fi network,” like a hotel or Starbucks hotspot. Your watch thinks it’s connected, because it is, but its actually stuck on a login page. Since there’s no settings option for Wi-Fi on your watch, you’re at the mercy of your watch to eventually disconnect from the network and send you back to LTE. Right now, that’s not happening, forcing you to toggle the LTE switch, turn on airplane mode, or reset, anything to get the watch to dump the network in question. 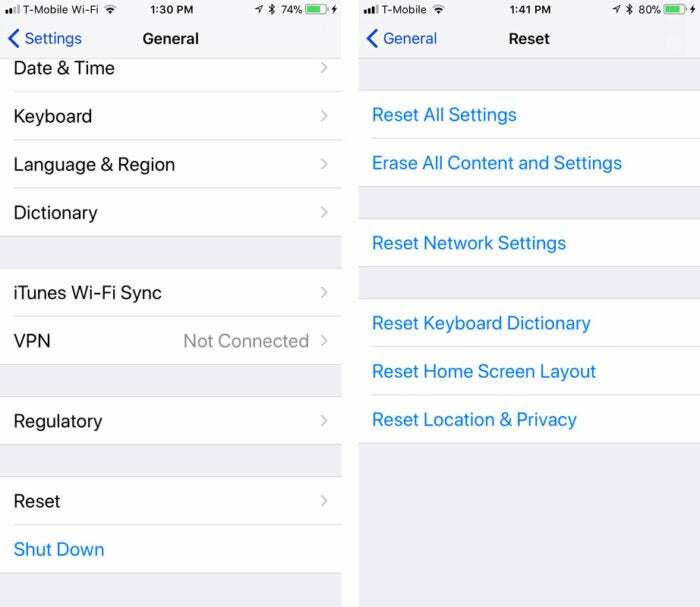 Tap Reset Network Settings and it will clear all saved networks from your iPhone. Now, keep in mind that this will reset all of your networks, including your home, work, or school Wi-Fi, so it’s not an ideal solution. But if you’re willing to type in a few passwords again, it should be a quick fix for your Apple Watch woes. After blowing up my iPhone’s network preferences, I also deleted some unused networks on my Mac. It’s easier here, since Apple lets you see all of your previously connected networks. 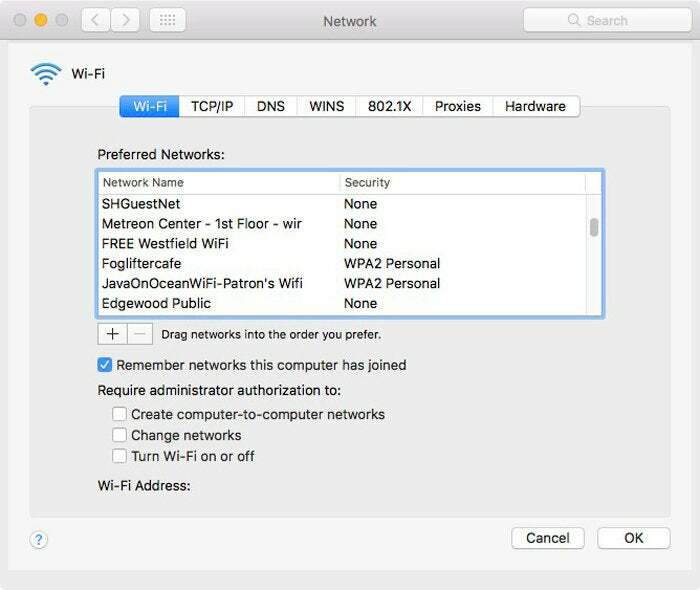 Go to System Preferences > Network, click Wi-Fi in the left column, and then click the Advanced button. Then click the Wi-Fi tab in the window that appears. You should see a list labeled Preferred Networks. I went through and removed any network that wasn’t familiar, and there were more than a few coffee shops, restaurants, and hotspots, any of which could have caused my issues. I don’t think iCloud syncs old Wi-Fi networks from the Mac to iOS devices, but to be on the safe side, now I know they’re gone for good. Just like that, my Apple Watch has been running smoothly ever since. Apple’s imminent update will hopefully eliminate the need to take such drastic action, but if you don’t wan’t to wait to enjoy your new device, give it a try.